It’s a daily battle, and each year it gets a little harder. The toys. They’re taking over. You stuff them into bins and pile them into boxes only to have them magically reappear a moment later. You sort and straighten and organize, and then BAM! In comes the “Man in Red” with reinforcements, and suddenly you’re knee deep in a whole new wave of flashy, plastic junk. Need a new battle strategy? Take a page out of Julius Caesar’s book: Divide and conquer. Starting a toy rotation is a great way to take control of the toys in your home and an even better way to help your kids get the most out of their playtime. By dividing your toys into separate groups and allowing access to only one group at a time, you’ll prevent your kids from suffering that overwhelming feeling that comes with too many choices. Since they can see what they have, everything gets played with and appreciated. And with fewer toys on hand, clean up is a breeze. Best of all, the anticipation of having something new and different to play with every few weeks makes each and every month feel like December! Ready to rotate? 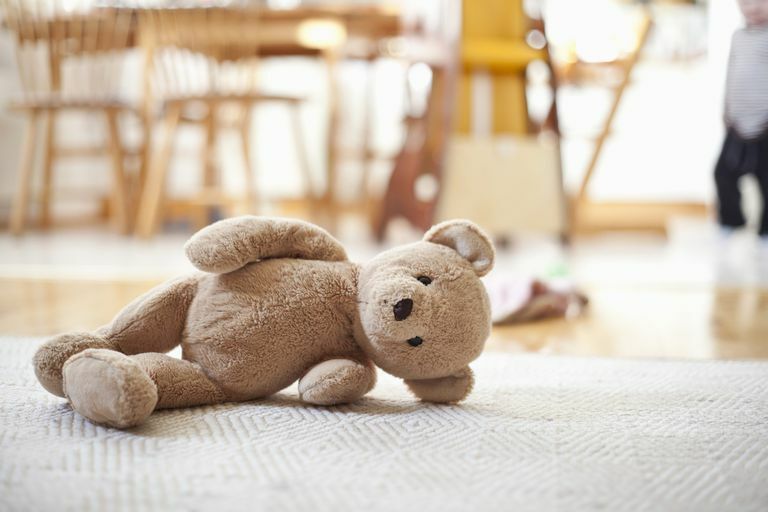 Get organized with these 10 tips for starting and maintaining a toy rotation in your home. Having all your toys out in one room at the same time may seem overwhelming, but if you are going to put those enterprising playthings back in their place, you need to know what you’re up against. Wait until the kiddos are tucked safely in their beds, and then round those plastic space-invaders up. Every. Last. One. Look under the couch, and in the closets. Search the far-flung corners and crevices of your home until you are certain you have brought them all to account. Once you have your little one’s army of toys where you want them, it’s time to start thinning the force. Start by tossing out all the obvious junk. The broken toys, the puzzles, and games with missing pieces, the Happy Meal prizes and party favors – it all goes straight into the trash. Next, box up any toys that your kids have outgrown. If it’s no longer developmentally appropriate for your child, it no longer deserves a place in your home. Why let it clutter your space when you could pass it on to someone who could really use it? Once you’ve pared down your toy collection, sort the remaining toys into the following groups. Building/making toys – i.e. Legos, blocks, Lincoln Logs, Tinker Toys etc. Dramatic/domestic play – i.e. costumes, accessories, kitchen items, toy tools, etc. After you organize your toys into groups, attack each category individually, trimming it down as much as possible. Think about the things your kids actually play with. If it hardly ever sees the light of day, why hold on to it? Your little one won’t even miss it! Have more than one version of the same game or toy? Multiples are a no-no. Pick a favorite and move on. Finally, address your child’s toy collections. Ask yourself how many stuffed animals you really need. How many toy cars? Your kiddo may have dozens of each, but in reality, they probably play with the same few toys regularly. Pull out their favorite items, and donate the rest. Choosing several toys from each identified group, create three to six separate rotation sets. When making your selection, try to think about how your child would play with the included items, and look for opportunities to encourage creative cross-play. For instance, you might include a family of small figurines in a rotation set with Lincoln logs or a tea set with your dolls. It’s also a good idea to keep toys featuring the same character or theme together. If your little one sees their favorite “My Little Pony” puzzle, you can bet they are going to ask for their plastic pony friends. Save yourself the tears and trouble, and include them in the same box, to begin with. When you’ve finished curating your sets, pack each into a large plastic tub or box. Be sure to label the box, so you can easily find what you need when you need it. Worried your little one will miss his or her favorite things? Don’t be afraid to break the rules and leave a few toys out on a permanent basis. Remember, the overall goal of a toy rotation is for your child to enjoy playing with their toys. If they love their Legos and happily play with them every day, there’s no need to tuck them away to entice their interest. When you have toddlers, putting away toys is a waste of time. Instead of storing toys in baskets and bins, try setting up several themed play stations where toys remain largely on display. Create a costume station or domestic play area. Set up a station for arts and crafts and a cozy reading corner with a few readily displayed books. Then cycle new toys in and out of each station with each new rotation. By exposing your kids to a variety of easy-to-access toys all at once, you’ll encourage them to use their toys in new and imaginative ways. The kids will have an easier time deciding what to play, and you’ll have an easier time keeping up with the mess. Like the old adage says, “out of sight, out of mind.” Wherever you store the out-of-rotation toys, make sure your kids don’t lay eyes on them. Avoid clear plastic bins, and store the tubs or boxes somewhere the kids can’t get to them, like a locked closet or in the garage. That way, the kids are less likely to ask for them. You’ll also want to wait until the kids are asleep to switch out your toy sets. Waking up to a playroom full of new toys is fun and exciting. Watching your toys get boxed up and taken away? Not so much. How often you rotate your toys is entirely up to you. Some parents switch out their toy sets like clockwork every couple of weeks, while others opt for once a month or even bi-monthly. Some prefer to set the idea of a schedule aside and simply pull out the next box when their kids get bored with the toys they have. There’s really no wrong way to go about it. The key is to be flexible. Find out what works for your family, and make changes to the plan as you go. Need to freshen up your routine? Try a box swap! Simply label your toys with some masking tape, and switch boxes with a friend. Your kids will enjoy exploring a treasure trove of new toys, and when it’s time to rotate, you can easily collect up the borrowed toys and switch back.